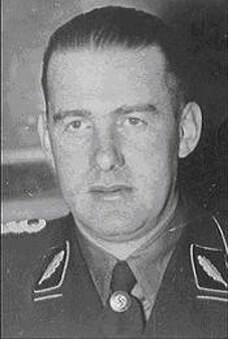 Odilo Globocnik, SS-Gruppenführer, was born in the Imperial Free City of Trieste, Austria on April 21, 1904. Hailing from a family of Slovene descent, Globocnik was the son of a former cavalry lieutenant, turned postman. Odilo moved to Klagenfurt, Austria and became an early member of the Austrian Nazi Party and Austrian SS, joining the Austrian Nazi Party in 1922. He is reported to have been one of the attackers who murdered Jewish Viennese jeweler Norbert Futterweit in 1933. For his early work in the Nazi Party He joined the German Nazi Party in 1931), Globocnik assumed duties as the Gauleiter for Vienna in 1938, but used his position to speculate in illegal foreign currency exchanges and was stripped of the position. 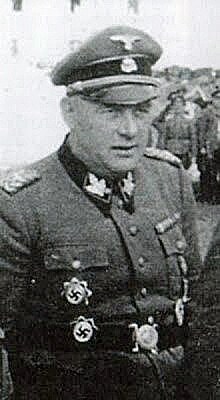 But Heinrich Himmler, the head of the SS, knew a ruthless man when he saw one and named Globocnik the SS and Police Leader for Lublin in Poland. In that capacity, “Globus” assumed command of “Operation Reinhard,” the Nazi plan to kill the two million Jews in Poland at the death camps of Treblinka, Sobibór and Belzec. It is estimated that the total haul in currency and precious metals from the victims in “Operation Reinhard” approached 178,745,960 Reichsmarks, or $71,200,000 at the existing rate of exchange. That works out to about $1,036,635,251 in 2012 dollars – over one billion dollars! However, the real take by the Nazis may have been two or three times that, given the level of corruption at every camp, among the Ukrainian guards and at Lublin, where numerous SS officers from Globocnik on down could have skimmed off a personal fortune. In fact, Willy Natke, Globocnik’s batman, once mentioned that the “Operation Reinhard” chief had a secret account with an unnamed bank – but possibly the Emission Bank of Poland, located in Lublin – with the account name of “Ordinario.” This secret account of Globocnik’s has never been uncovered, but has simply disappeared from history. That amount – reported and unreported, but stolen – would make the theft of these valuable precious metals and gems the largest robbery of all time. 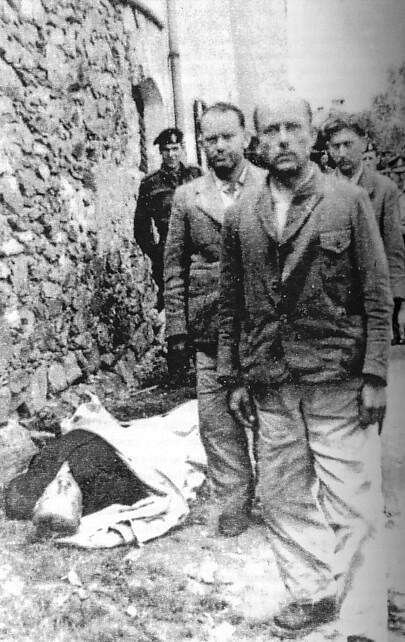 According to British historian Michael Tregenza, Globocnik took part in numerous drunken outings with Oskar Dirlewanger, when Sonderkommando Dirlewanger was assigned to Lublin in 1942. 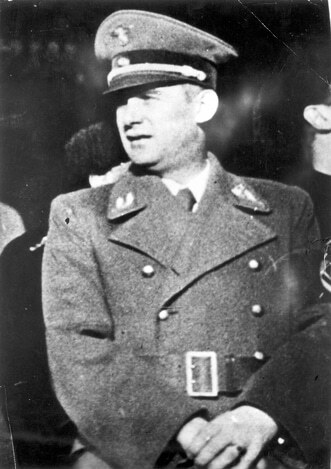 Globocnik was horribly successful in this task during 1942 – 1943, when it is estimated that “Operation Reinhard” killed 1,750,000 people, and was subsequently transferred to duties as SS and Police Leader for the Adriatic Coast. He would receive the German Cross in Gold and German Cross in Silver in 1945. In October 1944, Odilo Globocnik married Lore Peterschinegg, the head of the Bund Deutsche Mädel of the Carinthia district in Austria. They had one son; Lore died in 1974. Globocnik was a close associate of Dr. Friedrich Rainer, Gauleiter of Carinthia. But the war ended and Odilo Globocnik was apprehended by British forces. He committed suicide on May 31, 1945 at Paternion, Austria. His last words were, “[I am] a poor merchant from Klagenfurt frightened of the possible Yugoslav invasion.” Then, Odilo Globocnik bit down on a vial of poison. Authorities transported Globocnik’s body to a local churchyard, but the priest reportedly refused to have ‘the body of such a man’ resting in consecrated ground. Locals dug a hasty grave outside the churchyard, next to an outer wall, and buried the body without a ceremony. An often overlooked figure in the Final Solution, few publications present the true scope of his monstrous deeds. 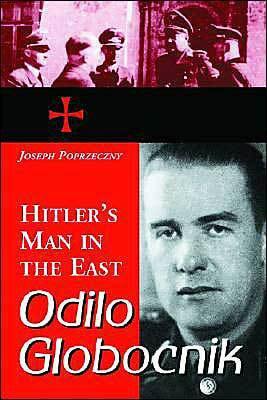 The best book on “Globus” Globocnik is Odilo Globocnik, Hitler’s Man in the East by Joseph Poprzecny.